A silly group shot at the Gold Medal Bodies seminar. (Photo credit: Gold Medal Bodies). As I mentioned in Friday’s post, Jesse and I had an all day Gold Medal Bodies seminar in the Seattle area on Saturday. We got up around 5:30 that morning, or at least I did (Jesse slept until 5:45), got dressed, packed a cooler for lunch and made breakfast for the road. I can’t eat that early in the morning, so instead, I drank some cold-brew with coconut milk at home and ate my 2-egg and banana pancake with chicken apple sausage in the car, about an hour into our drive. Okay, this looks terrible, but I swear it tastes better than it looks! 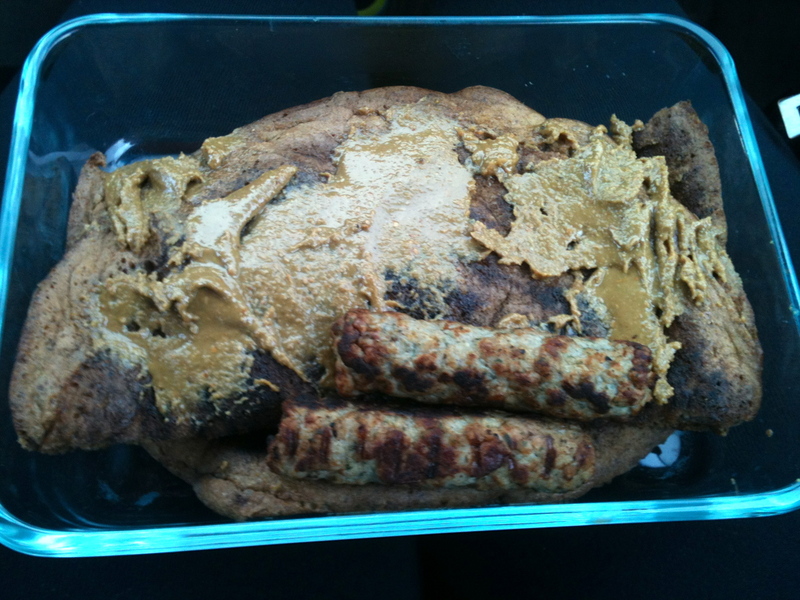 This was my breakfast in the car: Applegate chicken apple sausages and a 2-egg/banana pancake with unsweetened sunflower seed butter on top. No sweetener in the pancake itself either. 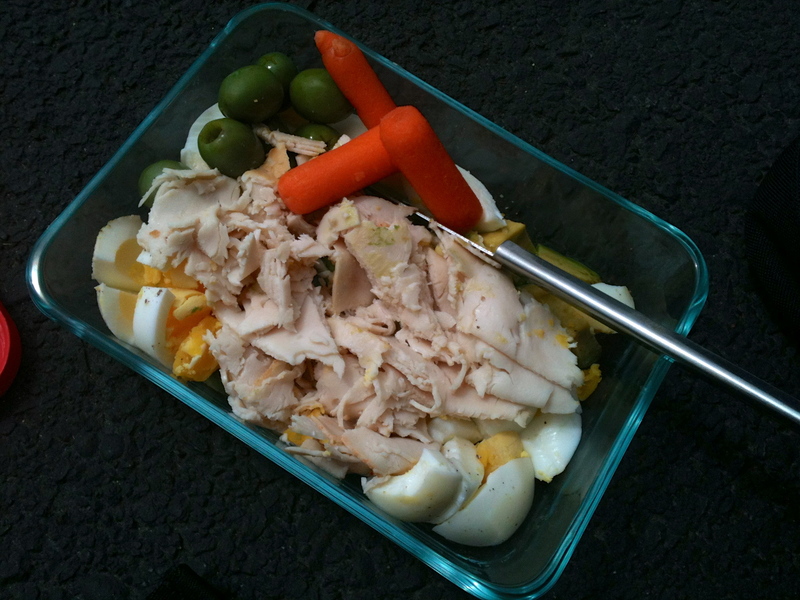 In our cooler, I packed carrots, avocado, hard-boiled eggs, freshly sliced Applegate deli chicken, castelvetrano olives, sprouted almonds and white nectarines. Perfect and easy. On our lunch break, I combined a bunch of stuff in a dish and gobbled it up. It was simple good and just what I needed to refuel. Lunch! Plus, a nectarine afterward. There’s avocado somewhere in there too. The seminar was fantastic and we learned and worked on a lot: locomotion (crawling) progressions, handstands (with one-on-one coaching), a little bit of ring work, stretching/mobility, a one-on-one structural assessment, and some other gymnastic moves. It was really, REALLY great and Jesse and I both came away with a lot, and enjoyed ourselves too. The Gold Medal Bodies team is phenomenal. For more info and details about the seminar we attended, check out their recap here. You may have seen this shot of me from the seminar on my Facebook page, but just in case — it’s me holding top position on the rings. (Photo credit: Gold Medal Bodies). We wrapped up around 5:30 and afterward, Jesse and I headed to Bellevue, a suburb of Seattle, for dinner. 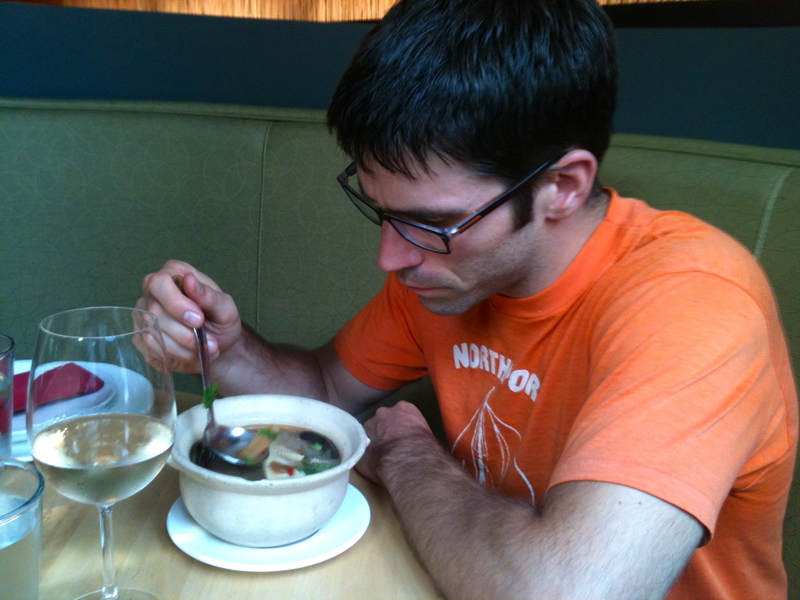 We found a great Thai place called, Chantanee Thai Restaurant and saddled up for a glass of Montinore Estate Pinot Gris, Tom Yum soup and red curry with chicken — at least that’s what I had. It was delicious and satisfying after our full, very physical day. It was hard getting back in the car for a 3-hour drive home after that because we were both ready to sleep and call it a day. Alas, we carried on. 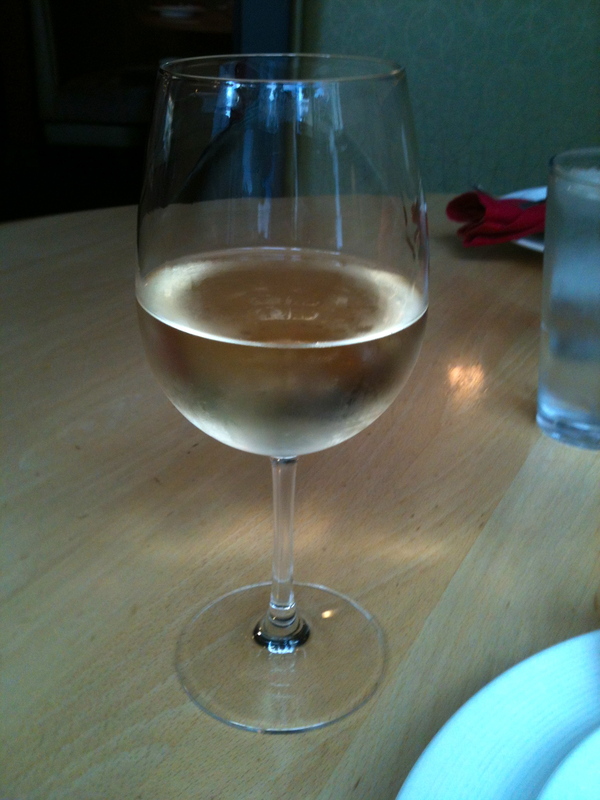 This Pinot Gris from Montinore Estate in the Willamette Valley was out of this world. Jesse had it too and agreed. 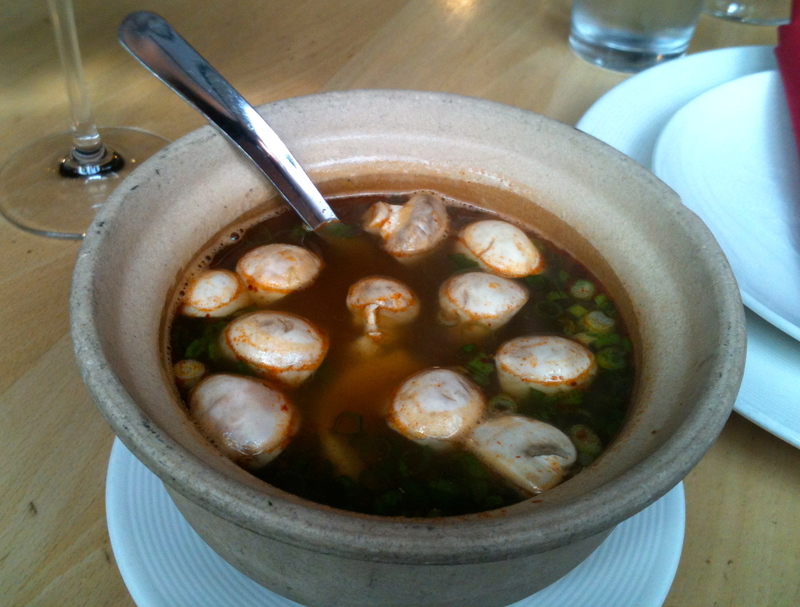 Tom yum soup — loaded with mushrooms and big pieces of chicken. 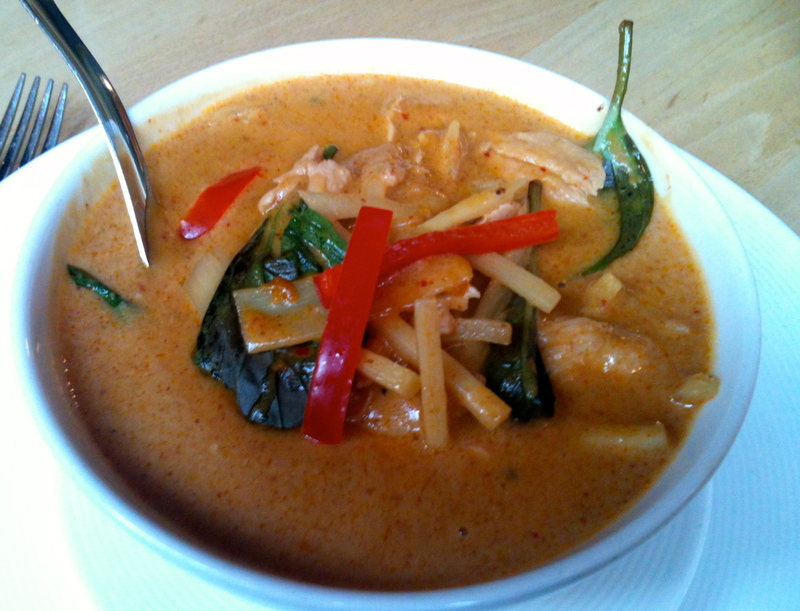 My red curry with chicken. Gluten-free and no rice! We got home around 10:30, unpacked the car, showered and went to bed. We both had to work in the morning, but thankfully, I didn’t have to work until 9, whereas Jesse had a client at 6:30 a.m.
After work on Sunday, Jesse and I did some stuff around the house and then went grocery shopping. Then, we went for a hard cider at Reverend Nat’s. This is the third weekend in a row we’ve gone there for a cider. It’s a little too convenient having it right in our neighborhood, but we love it. 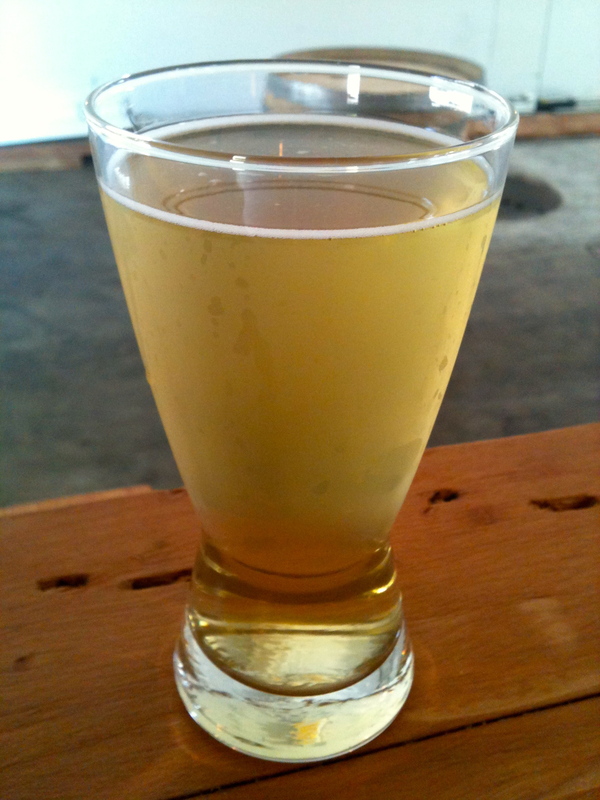 My favorite Reverend Nat’s Cider — the Newtown Pippin. Crisp, refreshing and dry. After we got home, I whipped up the bechamel sauce from Sarah Fragoso’s new cookbook, Everyday Paleo Around the World: Italian Cuisine, but made it with frozen butternut squash instead of sweet potatoes, since those are a no-go for me. It turned out heavenly — creamy, slightly sweet, thick and buttery. Let me tell ya, this stuff is gold! Then, I proceeded to use the sauce to make her grain-free lasagna. It was a lot of work and time consuming, but delicious. 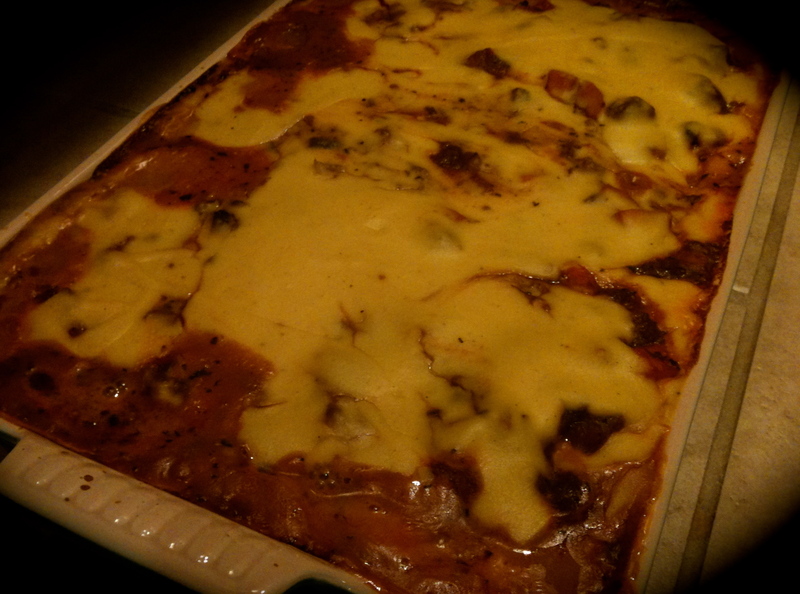 It did not hold together like a lasagna at all (nothing like her picture in the book), but tasted wonderful. The portabella mushroom “noodles” were tricky and didn’t work very well for me. They’re difficult to cut thin and I’d maybe get three good pieces from one mushroom, with a lot of little scraps leftover. The recipe made a big and REALLY FULL pan too (I had to have a baking sheet underneath to catch overflow juices). We have a lot leftover, which is great, but plan to eat the remainder as sauce over zucchini noodles because of its lack of shape. I’d still make it again because it’s tasty, but wouldn’t expect to hold shape. I honestly don’t understand how to get designated pieces out of a lasagna like this because of all the sauce — meat sauce and bechamel alike. Whatever though, it’s still awesome. Really and I mean REALLY full pan of lasagna. 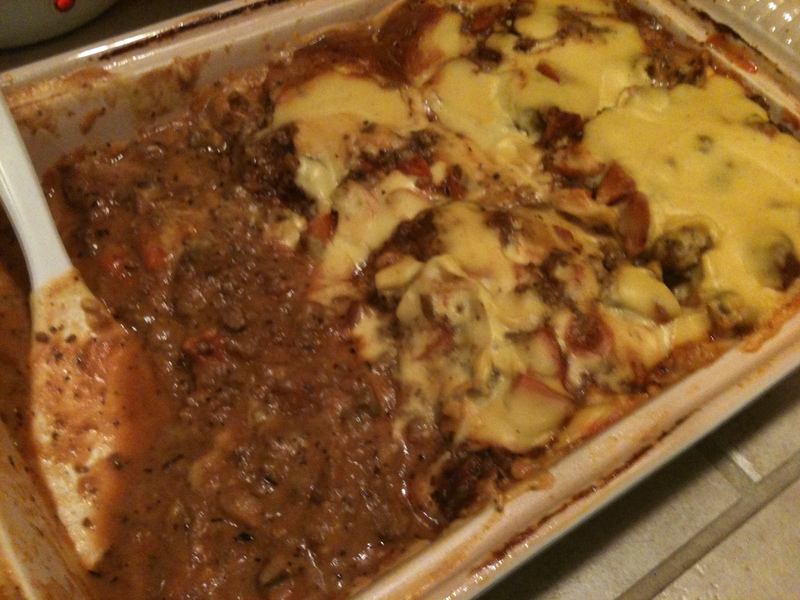 The orangish-yellow stuff on top is the squash bechamel sauce! The lasagna, once “sliced.” Not so pretty, I know, but 100 percent amazing! Hat sounds like a super fun weekend! The workshop, the paleo lasagna and relaxing with the new hubby- sounds lovely! Thank you guys for coming up to train with us! And thanks for the review, we had a great time working with you and hope to see you again soon! Absolutely! Thanks to all of you for the great opportunity. We’ll definitely come train with you guys again — lots to learn from all of you. Keep Jesse and me posted whenever you come down to Portland too! It’d be fun to get together. P.S. That ring hold is AMAZING! Go on your own, Naz! I’m sure you’d learn a lot and not only that, but you’d get the chance to meet some other like-minded people. Take advantage of opportunities like that when you can! Yes, the bechamel is amazing and worked so well with the squash. I used frozen since it isn’t in season right now, which made it that much easier since I didn’t have to peel or cut it myself! I saw the picture of the gnocchi you made and it looks fantastic!